With sweeping and controversial reforms to Ontario healthcare hovering over the horizon, Bramptonians are growing nervous about what those changes will mean for a city that is already short on healthcare infrastructure. 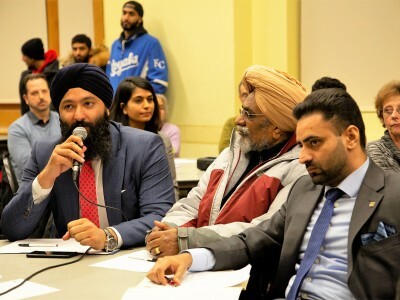 At a town hall in Brampton Friday, the Ontario Health Coalition and Peel Poverty Action Group rallied support for an April 30 protest at Queen’s Park against changes widely viewed as a move towards privatizing healthcare. No Bias. No Influence. Just the Facts. It seems warnings of teacher cuts have come to pass. The Peel District School Board and the Ontario Secondary School Teachers’ Federation, Peel District, say hundreds of teaching jobs will be eliminated by the fall due to the Ford government's funding cuts to the public education system. The 330 “surplus to board” notices sent to teachers in Peel aren’t part of an annual routine, as the Ford government has suggested, as there have been no layoffs in the PDSB for the past five years. The loss of teachers, the OSSTF says, could lead to 1,200 fewer classes being offered in Peel high schools, reducing elective options for students. Bramptonians who had placed hope in a full-fledged university campus coming to downtown saw that hope dashed in October when the province yanked funding for a Ryerson University project. In the face of that disappointment, Algoma University has been a beacon of reassurance, and now wants to expand its own small business-school campus downtown to bring its student enrolment up to 500, with the help of $575,000 from the city. The main renovation will occur along the Garden Square-facing facade, in the corridor between the Rose Theatre and the school’s current building at 24 Queen St. E.
The provincial budget is leaving a choppy wake, with far reaching ripples across Ontario. 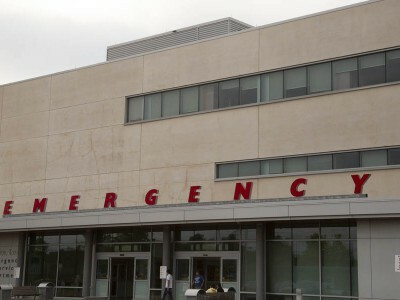 Brampton Centre MPP Sara Singh raised the alarm Monday about cuts in the provincial budget that would gut public health units across the province. 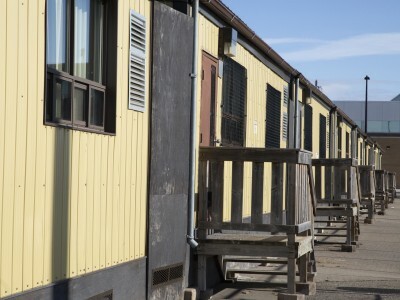 The number of units would be reduced from 35 to 10, leaving Peel Public Health vulnerable. In the era of vaccine skepticism and a raging opioid crisis, the units have a vital role to play, and cuts have the potential to exacerbate major public health issues. The arrest of one suspected serial offender alleged to have committed 45 property crimes that targeted Muslims helped reduce reported hate crimes in the region last year, according to a report presented to Friday’s Peel Police Services Board meeting. But the annual tally is still nearly double what it was prior to the 2016 U.S. election of Donald Trump and the subsequent emboldening of hate groups across North America. Peel police detective Feras Ismail said race is the primary motivation for hate crimes and hate-related incidents in the region, followed by religion and sexual identity. The controversial addition of “Sikh (Khalistani) Extremism” in an annual report on terrorism threats had riled Sikhs across Canada, who said they were unfairly tarred by the assessment. 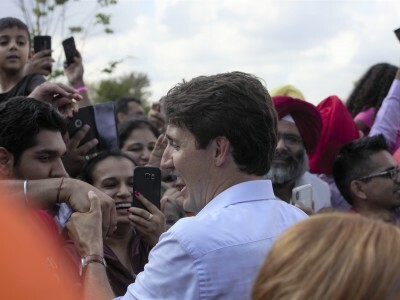 The threat remains in the list under the title of “Extremists who Support Violent Means to Establish an Independent State Within India.” But just ahead of Prime Minister Justin Trudeau's attendance at Sikh celebrations in Vancouver this past weekend, marking a significant historical religious event, his government removed language in the report deemed by many Sikhs as too vague and over-reaching. Questions remain about whether Ottawa has credible evidence to support the idea that a separatist movement whose heyday ended in the early 1990s, after the 1985 Air India bombing, continues to pose a threat. 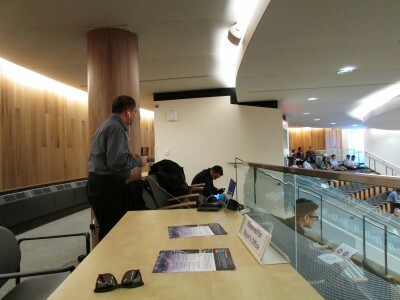 Thursday’s raucous Peel Region council meeting was proof positive that this is a house divided. Mississauga is eager for independence, and said it has the numbers to prove it’s being ripped off by its partnership with Brampton and Caledon. They counter that the status quo is just fine – and they, too, have the numbers on their side. But all the positioning is really just posturing, as the decision on the future of Peel Region will be made by one man, while the political winds blow around him. 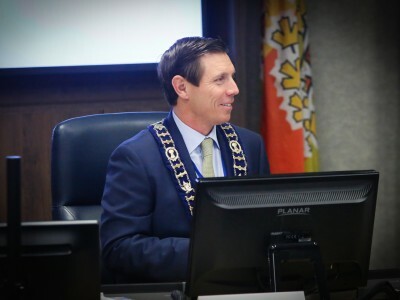 A furor in Peel Region council chambers on Thursday pitted pro-secession Mississauga councillors against a former colleague turned chair and defender of regional government. 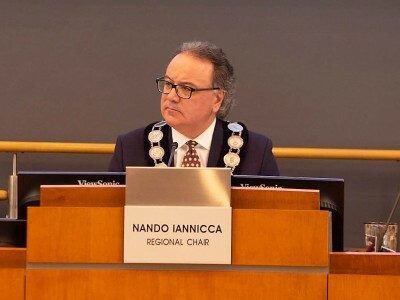 Nando Iannicca argued, correctly, that he had a right under municipal bylaws to quietly authorize a consultant’s study that ultimately suggested Peel would be better off sticking with the status quo than breaking up. 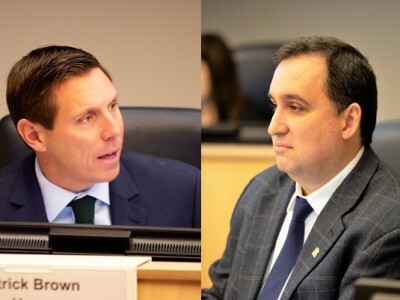 But Iannicca admits the rollout of the Deloitte report, commissioned ahead of a provincial review of regional government, wasn’t handled well — particularly when it was handed to Brampton Mayor Patrick Brown (on Brown’s request) ahead of the Mississauga delegation. The search for the next Peel Regional Police chief has entered a new phase with the hiring of an executive search firm. That announcement came at Friday’s Police Services Board meeting, where members also said they are seeking public feedback. This was welcome news to the students of Sheridan College’s Community Worker program, who spoke to the board – with its powerful members, including Brampton Mayor Patrick Brown and Mississauga Mayor Bonnie Crombie, looking on – about themes they’d discussed together, including intercultural competency, inherent biases and the possibly negative effects of School Resource Officers. Brampton mentions in the Ontario budget: Zero. Why aren’t the city’s PC MPPs speaking up? 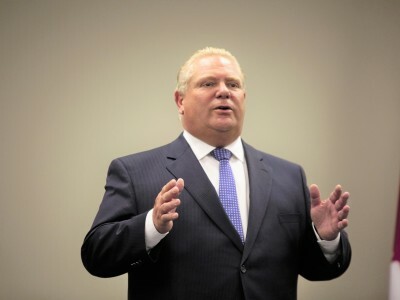 Despite having two MPPs in the governing PC caucus, the province’s fourth-largest city was completely ignored in the budget delivered by the Doug Ford government on Thursday. Nothing for Brampton hospital expansion, nothing for transit expansion, no university campus money, scant insurance relief for drivers, and the prospect of fewer teachers and bigger classes in a city where schools are already bulging at the seams. 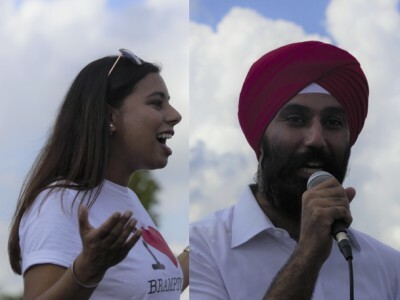 Voters here might well ask: What are Brampton’s representatives, Prabmeet Sarkaria and Amarjot Sandhu, doing to live up to the PCs’ mantra of “putting people first”? 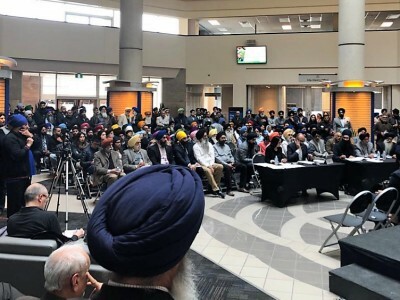 A terrorism threat report released in Ottawa in December unfairly paints all Sikhs with the brush of “Khalistani extremism,” say offended members of Brampton’s large Sikh community who showed up at a town hall meeting on Sunday to express their concerns about lasting repercussions, while many question why an issue involving the declining Sikh independence movement in India is being conflated with extremism in the first place. 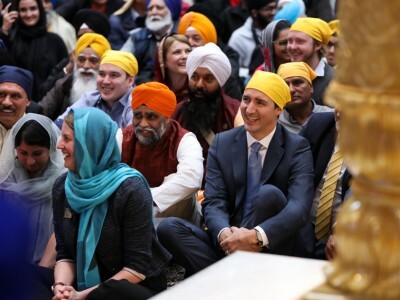 Public Safety Minister Ralph Goodale has admitted the language needs to be fixed to avoid libelling Canada’s half-million Sikhs. But the federal government has yet to explain why a movement whose heyday was in the 1980s is suddenly showing up in Ottawa’s annual security assessment. The repeatedly jilted residents of Brampton will be watching Thursday’s release of the new Ontario budget with anxious anticipation. 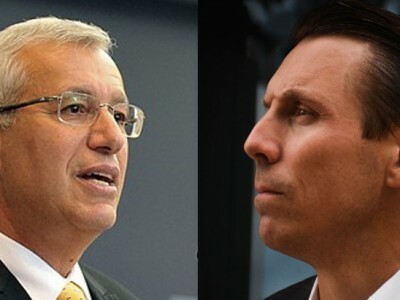 Finance Minister Vic Fedeli, who is locked in a legal battle with Mayor Patrick Brown over the publication of his memoir last year, will present the PC government's 2019 budget. In the recent past, the city has lost funding for a university and LRT and been passed over for healthcare infrastructure expansion. It’s not clear it will do any better this year. 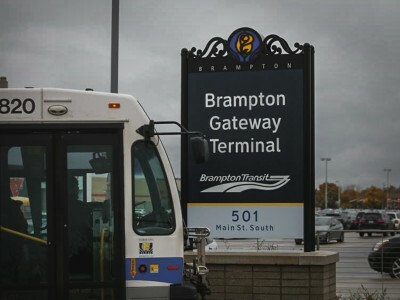 A high-growth community, Brampton is playing catch-up with basic services, and there are fears the Doug Ford government will leave the city in the lurch again. Thursday’s Peel Region council meeting was a session lit with cannon fire. Mayors and regional councillors were at each other’s throats over the question of Mississauga’s proposed exit from the region. 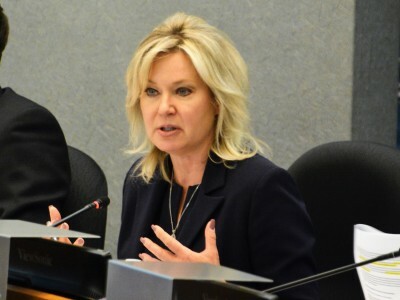 The main sore point was the contradictory findings of two reports: One by City of Mississauga staff asserts the city would save $85 million a year by no longer being obligated to subsidize the other two municipalities. The second, a consultant’s report for the region, calls Mississauga’s methodology flawed. This is a Tale of Two Cities: Mississauga and Brampton, linked by history and politics. Our neighbour to the south is eager to score its freedom from its two northern partners because it wants out of the Region of Peel. 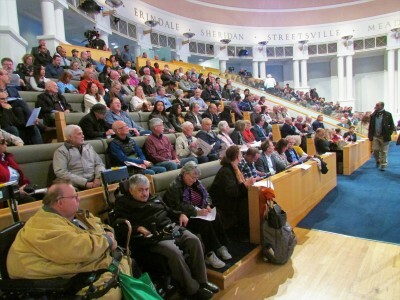 Monday night inside Mississauga City Council chambers, a special town hall meeting was held so residents could express their feelings on the future of their city. While Brampton Mayor Patrick Brown and a special report commissioned by the region urge caution, the forces of change are active, and two of the biggest and fasting growing cities in Canada might be moving towards separate lives, or a joint future. Ottawa’s recently announced $22-million contribution to the Toronto and Region Conservation Authority will assist in 111 projects designed to mitigate flooding issues exacerbated by climate change. 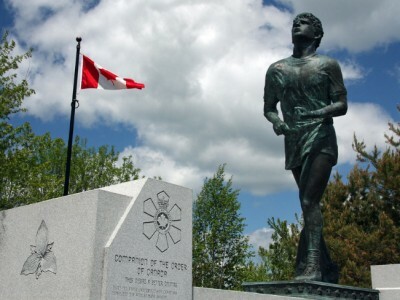 Brampton will benefit from work on areas such as the Don Doan Recreational Trail. 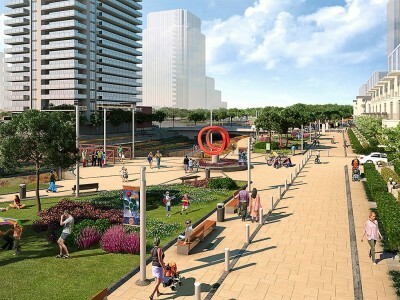 That’s on top of last year’s federal contribution to the environmental assessment for the Riverwalk project, which will deal with flood risks downtown and finally unlock the area’s potential, while creating a winding urban greenspace. While the city looks for ways to combat sprawl and diversify housing to meet the challenge of a booming population, one answer is to revamp its zoning. 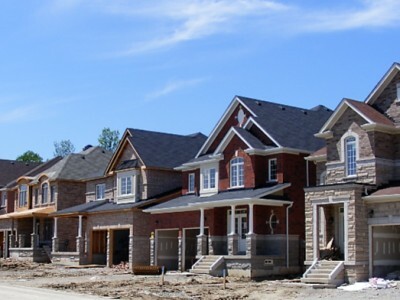 Of Brampton’s 267 square kilometers, the vast majority is zoned for single-family homes; little of it for higher density residential, and only 24 square kilometres for commercial and industrial uses. With all that in mind, Brampton has virtually set itself up to fail. But fixing the problem, despite a sweeping council move in September, may be harder than it seems, given the unwillingness of some residents to see their neighbourhoods change. 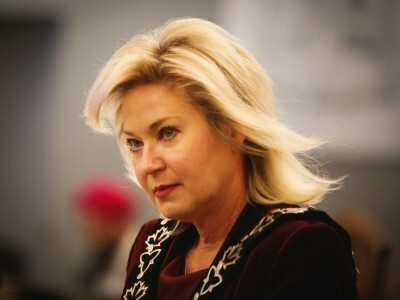 In her quest to get a Mexit from Peel Region, Mississauga Mayor Bonnie Crombie has rolled out financial figures that suggest the larger city to the south of Brampton is paying an outsized amount to subsidize its two regional partners. But new numbers in a report by consulting firm Deloitte, presented at Regional Council, contradict her claims, while at least one expert says it’s virtually impossible to calculate which city has contributed more to an interconnected system of government over five decades. Thousands of teachers occupied the lawn of the provincial legislature Saturday to protest government cuts to education and possible job losses. Educators from as far away as Thunder Bay came to Toronto to express their dissatisfaction with the Ford government’s plan to increase high school class sizes from 22 to 28. 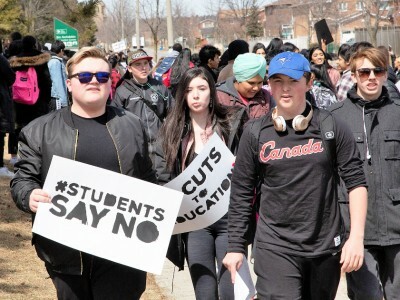 Brampton teachers and a range of other educators from across the province took part in the rally days after high school students throughout Ontario held a mass walkout to protest the moves. Making cities more accessible to the disabled will take a holistic approach from both public and private interests. But Ontario is falling behind schedule in implementing these much-needed changes. The recently released Onley Report says the need for inclusion is great, and if we want to overcome the “soul-crushing” barriers we’ve put up in society, that means full compliance of Bill 118, the Accessibility for Ontarians with Disabilities Act. What we all get in return are the types of places most of us want to live in: vibrant, diverse, green and accessible. Brampton’s Sheridan College Davis campus on McLaughlin Road lacks the charm of some of the more highly touted post-secondary institutions in Canada, but the work being done there, especially in the Centre for Advanced Manufacturing and Design Technologies by people like Michelle Chrétien, is powerful and game changing and it’s an example that innovation is what will drive success in the Canadian economy and Brampton. 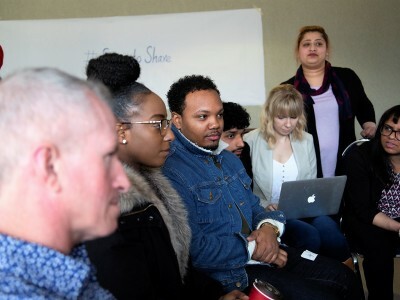 Sheridan College students in the Community Worker program joined members of the public Thursday and discussed what they would like to see in the next chief of police, who will be hired to replace the controversial former head, Jennifer Evans, after her resignation in January. Themes of mental health and cultural competency came up as well as nuanced solutions to both. 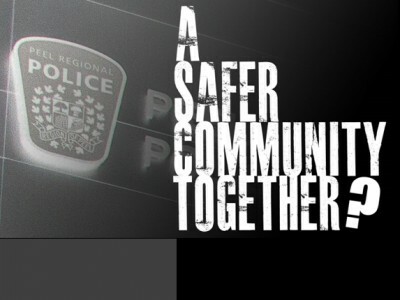 Students will present the key takeaways at next week’s Peel Police Services Board meeting to provide feedback on what members should consider when deciding who will lead the country’s third largest municipal police force into the future. 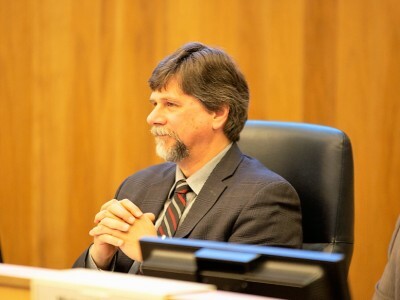 Councillor Jeff Bowman wrote a letter Wednesday to the provincial government requesting additional powers for city enforcement officers to enter a home and inspect units, after a man died in a basement fire last week. Fires in basement apartments are a growing concern in a city where it’s believed there are at least 30,000 illegal secondary units. With a rapidly growing population and limited affordable housing stock, more and more residents, including many newcomers, are seeking basement apartments. Landlords taking advantage of the demand often build unregistered suites that do not meet the fire code. 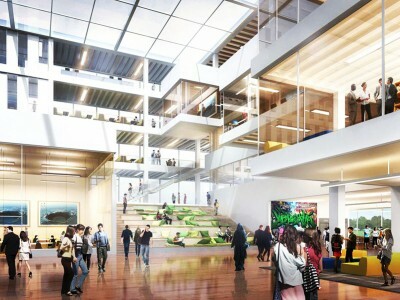 “If you build it, they will come” appears to be the approach so far by city officials with the proposed Centre for Innovation and Connected Learning. After the loss of a degree-offering Ryerson University campus, municipal and Ryerson officials are relying heavily on the centre to become an economic driver in a downtown that badly needs one. Now, despite a $100 million funding commitment approved by council, both partners say it’s too early to offer an explanation of exactly what the facility will look like and what services it will provide, and with a campus no longer a sure thing, it’s hard to say how well-used it will be. Frustration mounted in council chambers Wednesday as yet another debate took place over what a future LRT into downtown might look like. 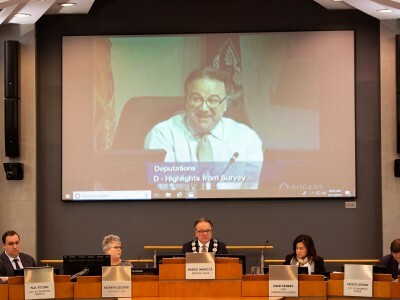 Exasperation was spurred by Councillor Paul Vicente, who, contradicting an earlier council agreement, moved to approve a surface route running exclusively along Main Street, a plan that drew support from the Brampton Board of Trade. 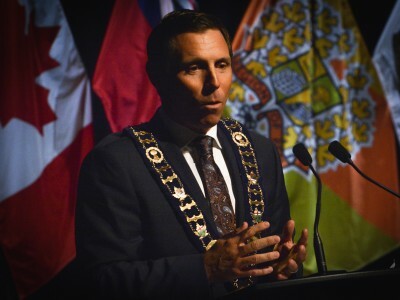 Backed by public delegations, Mayor Patrick Brown dismissed the BBOT’s letter as based on misinformation and doggedly defended his preference to tunnel the downtown part of the route. 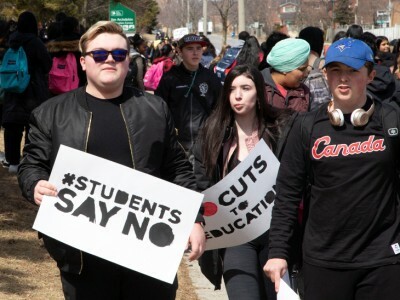 Angered with provincial plans to cut education funding, high school students from across Ontario took to the streets Thursday to protest changes. Heart Lake Secondary School in Brampton was one of many locations where young people voiced displeasure over the province’s moves. The walkout was in response to Education Minister Lisa Thompson’s proposed increase to class sizes and mandatory e-learning requirements. Meanwhile, in question period, Premier Doug Ford was grilled by Education Critic Marit Stiles on whether jobs will be lost as a result of larger class sizes. Ford had no reply. Teachers say they are already spread thin in Brampton and are in a precarious job position. In a letter to the Doug Ford government, the chair of the Peel District School Board warns of dire consequences if Ontario proceeds with bigger high school classes, mandated online courses and other changes that will cut costs at the expense of students. The changes will mean the loss of 500 teachers, put students with autism, special needs or living in poverty at special risk, and leave regular students with fewer opportunities for one-on-one time with their teachers, Stan Cameron writes. His letter, pleading with the province to listen to those affected, comes on the eve of student protest walkouts planned in Brampton and across the province. Former Ontario auditor general Jim McCarter’s 2015 report on the financial health of Brampton casts a long shadow over the city. One of the highlights, if one can call it that, was ballooning labour costs. McCarter, who was hired by former mayor Linda Jeffrey to probe Brampton’s finances following the Susan Fennell years, warned that salaries as a percentage of operating costs were unsustainable, preventing the city from investing in many things residents demand. But his call for restraint appears to have gone unheeded. Simply throwing more officers at a perceived crime problem may not only be costly but less effective than other strategies, experts suggest. Cyber crime and other rising trends demand a different style of policing that is only in its infancy in Peel and many other parts of Canada. 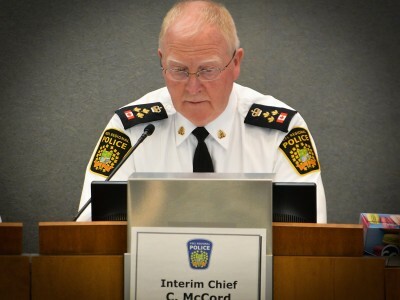 But getting to the point where decisions about police resources are based on evidence rather than knee-jerk responses will take a huge cultural shift — one that might depend on who’s picked as Peel’s next chief of police. 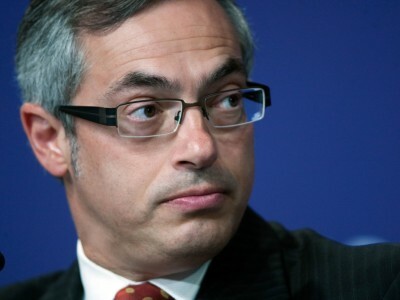 After months of speculation about what he will do next, Tony Clement has announced that he is leaving politics. In a statement released Tuesday, Clement, who launched his political career in Brampton where he began a swift rise up to the dizzying heights of public life, says that he will not be running in the upcoming federal election. He resigned from the federal Tory party caucus last November after he admitted to sexting someone he thought was a “consenting female recipient.” The RCMP began investigating after Clement claimed he was also the victim of an extortion attempt. An update on the proposals for a newly revived Main Street LRT route coming before councillors this week will provide three options, ranging in cost from $400 million to $1.7 billion. The most expensive is also the one most likely to get Mayor Patrick Brown’s approval, because it includes a tunnelled section through downtown that he fought for before agreeing to back a proposed route once vehemently promoted by former mayor Linda Jeffrey. 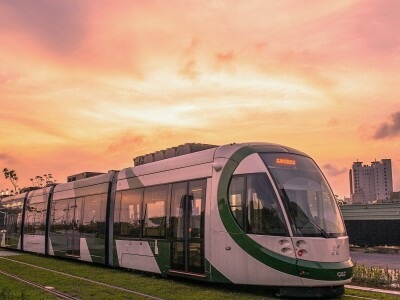 Cost is a crucial issue, since the light-rail project, whose funding was killed after the previous council rejected the Main Street alignment in 2015, has yet to receive any outside money. 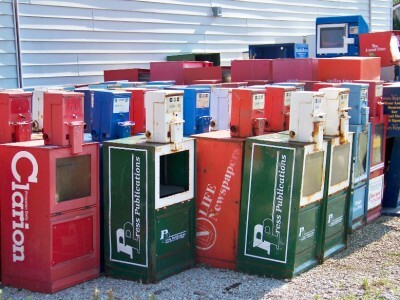 The federal Liberal government just announced a five-year, $595 million plan in its budget to help the struggling print news business. Criticism has rightfully drawn attention to the possibility of a few large newspaper chains getting the lion’s share of the public largesse. But ultimately, the only way news journalism can thrive, is if it’s done well and serves the people, all the people, who rely on it. 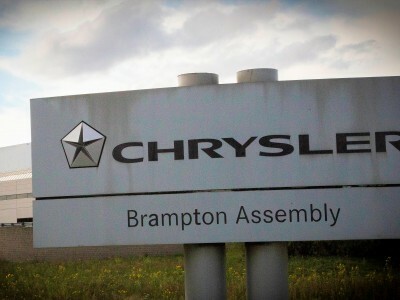 News of a shift closure in Windsor, throwing 1,500 Fiat Chrysler employees out of work, and a temporary closure in early April of the company’s massive Brampton assembly plant, to deal with slowing sales of the cars produced there, might only be the beginning of bad news for the city, as the global auto industry continues with radical changes to adapt to the market. 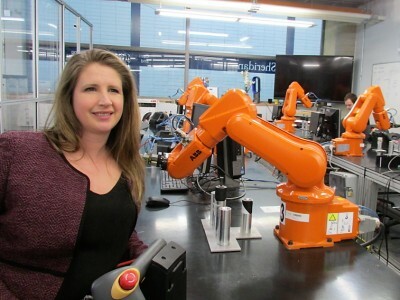 Critics say the Canadian industry, with out-of-date facilities making models that have been rapidly losing popularity, has been flat footed. It’s bad news for thousands of Brampton families who rely on the auto sector. Brampton’s three NDP members at Queen’s Park have been critical of the Ford government’s healthcare policy since he and the PCs took office last June. They joined their leader Andrea Horwath at a Brampton town hall gathering this week, and channeled the ghost of Tommy Douglas, the father of the NDP, and universal healthcare in Canada. The public vented their frustrations with a system that many said cheats Brampton citizens out of their fair share of funding and is putting lives at risk with dangerous overcrowding inside the city’s only full-service hospital. The Ford government counters that it’s simply time to rein in out-of-control costs, and it has a “patient-centred” plan that will do just that. The funding formula to win fiscal assistance for Brampton is skewed by a miscalculation of population numbers. 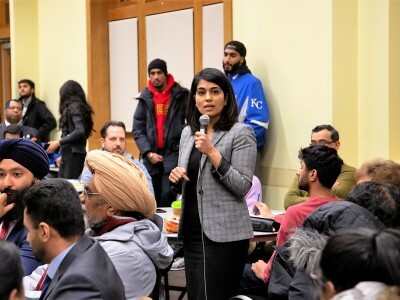 While Queen’s Park is pulling back any commitments here, Ottawa and MPs like Ruby Sahota and Raj Grewal seem eager to help Brampton overcome infrastructure shortages – largely because it’s an election year. But the city is being shortchanged by both higher levels of government. Brampton has to find a better way to calculate its population numbers and create a business model to get its fair share of funding from the upper tiers of government. 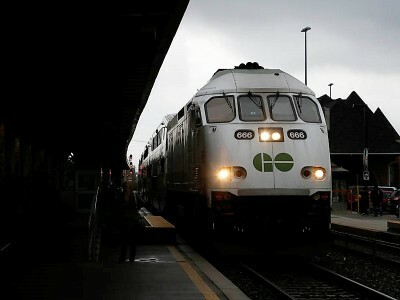 The 4:50 p.m. express train home from downtown Toronto — loss of which caused an uproar back in January — is back to stay, along with a few other improvements to Brampton GO train service, including an added morning train to Union Station and an extra four cars on another. 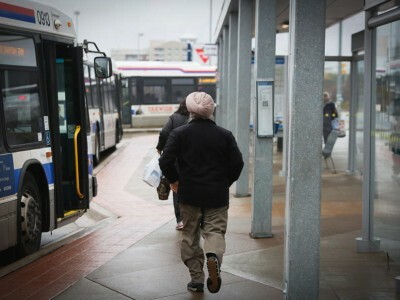 But Bramptonians eager for relief from overcrowded trains and a congested commute have years to wait for the all-day, two-way GO service the province has been promising for years. Metrolinx is now saying that goal won’t be achieved until 2025. Mayor Patrick Brown rightly describes as “remarkable” the first tax freeze in many long years in Brampton, approved Wednesday night. But it was achieved by cutting money from some areas, such as public works, that may leave residents frustrated in the long run. Here’s what will happen with your tax dollars this year. 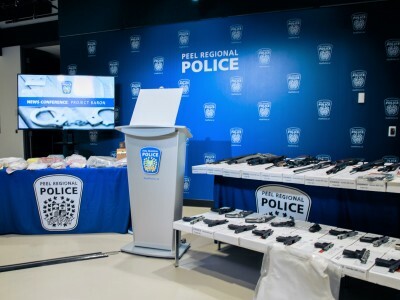 Peel police just nabbed almost 30 firearms, 1,500 rounds of ammunition, and narcotics with a street value of $1.2 million, in a single bust. That’s a lot, but just a drop in the bucket compared with the yearly haul of illegal guns, which is far higher than comparable jurisdictions. So why isn’t the region getting extra help from higher governments to deal with a flood of weapons that contributed to the growing violence in Brampton over the past couple of years? A little creative accounting brings the proposed 0.8 percent tax hike down to zero, fulfilling a campaign pledge but deferring some employee raises and projects to next year. Brown believes what’s good news for property taxpayers will also help the city catch up to its neighbors in becoming an attractive place to set up new business, boosting the city’s economy. But as council votes to approve this year’s budget on Wednesday, danger looms, with reserves drained and deferred and major projects on the horizon and no money to pay for them. Population growth and expanding routes have fuelled a huge increase in transit ridership in recent years. But every dollar earned at the farebox puts the city a little deeper in the hole for covering the remaining cost of extending and improving service — including the $125 million it will need to come up with to unlock Brampton’s fair share of federal and provincial transit money. Which is where the 1 percent transit levy in this year’s proposed budget comes in. A scathing equity/diversity audit of Peel police was released on Friday, painting a brutal picture of a dysfunctional force that needs new leadership. 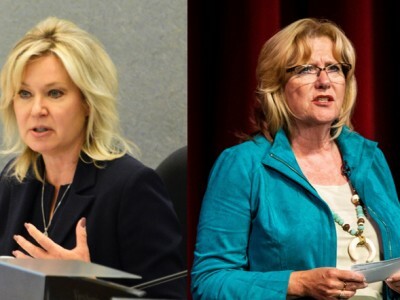 The evidence in the report that now paves the way for real change, following years of lip service, wouldn’t have come to light without former Brampton mayor Linda Jeffrey and Mississauga Mayor Bonnie Crombie. Brampton wants to be a ‘Smart City,’ a technology hub that can show it supplies the best online streaming services to the public. It has taken great strides over the past few years to do just that, led by a talented team of staffers, and a man who has used his outside position to play an inside role in helping the city in the past, present and into the future. Meet Brampton’s invisible man, who takes great care in projecting everyone else’s images to the outside world. A program to incentivize millennials to opt into the housing market might be good in some markets, but one veteran Brampton realtor says it won’t have the same impact here. 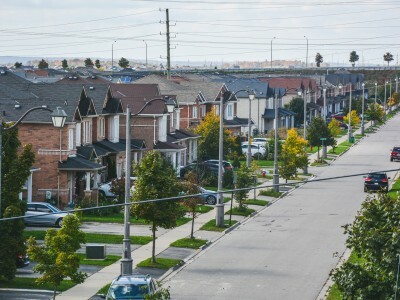 With a different demographic, Brampton homeowners are driven by an urge to pay off mortgage debt as quickly as possible – no matter what their age. That means they are looking for contributions from more and more people, even renters and family members. Two of Canada’s largest and most diverse cities are served by a police force that does not reflect the community and whose leaders have swept under the carpet serious concerns about internal discrimination and harassment on the basis of race, gender and sexual orientation. A diversity audit was initiated by the police board two years ago after racially charged incidents pitted community advocates against a force perceived to be homogenous and unresponsive to changing demographics. An alarming 90 percent of police employees who participated in focus groups for the audit reported either experiencing or witnessing harassment or discrimination. 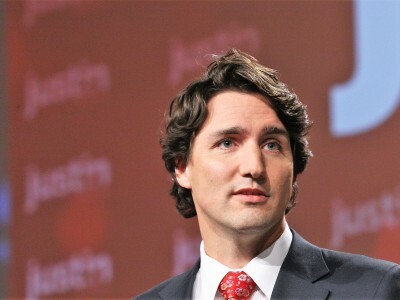 Tuesday’s federal budget announced by Prime Minister Justin Trudeau's government promises about $2 billion more for cities this year to help pay for desperately needed infrastructure in municipalities across the country. But in places like Brampton, where the infrastructure gap is rapidly increasing because of major spending areas that were downloaded onto cities by higher levels of government, municipal leaders are still wondering where the promised $188 billion for infrastructure, pledged in the 2016 budget over a decade, has gone. Ottawa blames Queen’s Park for stalling some of the funding. The PCs tell The Pointer that Ottawa’s claim is incorrect. 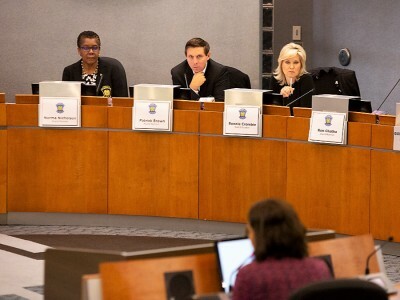 Councillors have voted to put into writing what they’ve been saying for years: Mississauga is a mature city that should be allowed to stand on its own two feet. After a public meeting to gather input, the city plans to ask the Doug Ford government, which is currently reviewing the regional system, to allow a formal separation from Peel Region rather than pursue the idea of a “super-city” of Peel. What that means for Brampton and Caledon is the big thorny question. Toronto police conduct the vast majority of strip searches in Ontario, but Peel police come in second when it comes to improper searches, and might perform the most unlawful strip-searches per capita. That’s according to Ontario’s police watchdog, which found a disturbing ignorance among police officers about the guidelines set in a landmark Supreme Court ruling 20 years ago. 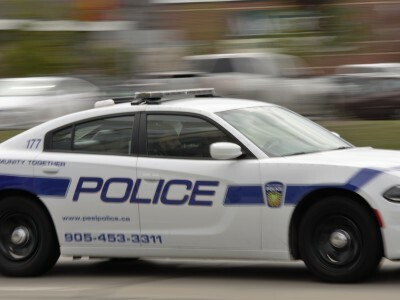 The OIPRD found Peel police conducted at least 14 illegal strip searches of people arrested since 2002, but because of incomplete data it's unclear if the force has performed even more unlawful searches. Ironically, Brampton Transit is a victim of its own success, with ridership increases soaring well into double digits each year. The price change is expected to generate $1.7 million in additional revenue to fund service improvements to meet increasing demand. 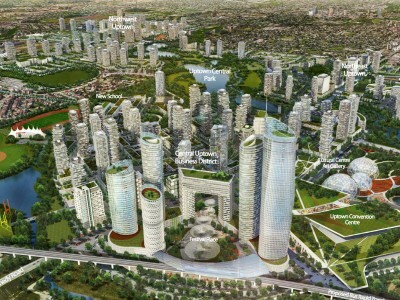 Going under the microscope, could Brampton’s 2040 Vision become 2060? When Brampton’s 2040 Vision was released last year, it garnered national attention, but was notably lacking in details about the net cost of making it come to life. 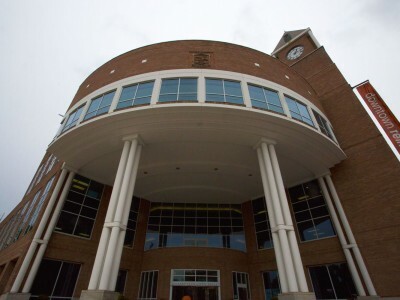 As part of the 2019 budget, city staff are set to review the approved Vision, which will look to affirming and realigning the priorities to get the best value for dollar. While city staff assure the aim of the review is not to rewrite the Vision, it may see timelines and priorities change. With an unknown cost and a tightening of city coffers under a new council, could Brampton’s 2040 Vision be more of a reality for 2060? Boosting the average high school class from 22 to 28 kids will have special impact in Brampton, where many schools are already stretched to cope with packed buildings amid a growth-related boom in students. Education Minister Lisa Thompson has promised there won’t be any teacher layoffs, but the change will mean major cutbacks in positions, limiting opportunities for both fresh new teachers and students. Talk of a tax freeze carries all the temporary relief of an icy drink on a hot day. But next year, the heat will be even fiercer as delayed spending puts the city in a more dire position. 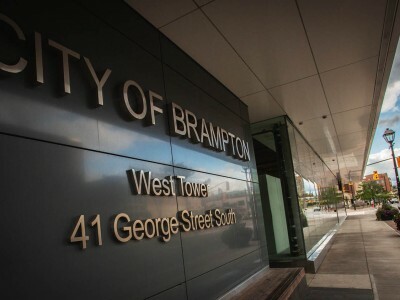 The Pointer takes a look at what’s being given up and put off until another day in a proposed budget, which goes before council Tuesday, that would increase Brampton’s share of the 2019 tax bill by 0.8 percent, far below the rate of inflation. It’s time Brampton got a fairer share of the tax pie. While Doug Ford talks of forming supercities and eliminating a fourth tier of government and going deep into the weeds to find efficiencies for taxpayers, this city continues to come up short in finding funds for badly needed infrastructure. If Queen’s Park won’t help, we should shift focus to our five federal MPs and ask: ‘We pay our taxes, so where’s the money?’ We’re eager for their answer, especially with an election looming this fall.